Yes! It is true! 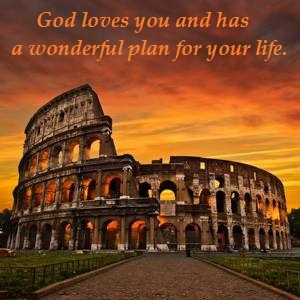 God loves you and has a wonderful plan for your life if you are among God’s elect. If you are not among God’s elect, then His plan is, well, somewhat less than wonderful. Now, if you don’t get what that means, then please try to understand. 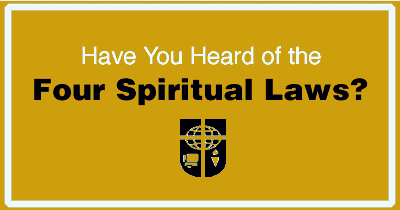 If you are not among God’s elect and you really wish to find out ahead of time about this, then just click here. From a Heavenly standpoint it is all fixed about who is among the redeemed and who is among the damned. However, here is the GOOD NEWS! Since we ourselves have not read the Lamb’s Book of Life in Heaven, then from an Earthly perspective, we can still make the choice in this lifetime whether to believe and continue in the faith of Jesus Christ or not. As it is written in Acts 16:31… Believe on the Lord Jesus Christ, and you will be saved. It is your choice if you wish to partake in God’s wonderful plan of eternal life for you with Him in everlasting joy or not. Is there anything more that you yet need to know before you make up your mind with the right choice to put real trusting faith in God’s Son Jesus Christ? During the Apostle’s Paul earthly lifetime, he endured much tribulation. 10 But you have carefully followed my doctrine, manner of life, purpose, faith, longsuffering, love, perseverance, 11 persecutions, afflictions, which happened to me at Antioch, at Iconium, at Lystra—what persecutions I endured. And out of them all the Lord delivered me. 12 Yes, and all who desire to live godly in Christ Jesus will suffer persecution. 13 But evil men and impostors will grow worse and worse, deceiving and being deceived. 14 But you must continue in the things which you have learned and been assured of, knowing from whom you have learned them, 15 and that from childhood you have known the Holy Scriptures, which are able to make you wise for salvation through faith which is in Christ Jesus.